Maleficent, Disney’s 2014 retelling of “Sleeping Beauty” from the perspective of the witch who cursed the young princess, is self-consciously trying to overturn decades of Disney cliché in three areas: the treatment of villains of the wicked-witch variety, the treatment of handsome princes, and the treatment of true love. Unfortunately, while Maleficent herself is a well-rounded character (for a Disney film) the handful of other characters are simplistic and unoriginal to the point that they become cliché, undermining the entire point of the film. Let’s start with the first cliché that Maleficent wants to destroy: the villainous wicked witch. In the 1959 Disney animated production of Sleeping Beauty, Maleficent is an evil fairy who is unwanted at the celebration of Princess Aurora’s birth. Angered, Maleficent curses Aurora with a deathlike sleep on her sixteenth birthday. Maleficent does all she can to ensure the curse befalls Aurora as planned, and to prevent anyone from breaking the curse. In the end, she is defeated and killed. It is immediately recognisable and quickly establishes the nature of the antagonist. But it leaves no room for depth or nuance. Maleficent is shown to have no good reason for behaving so cruelly. She is depicted as a sneering, cackling, dark, decaying version of evil. She makes for a clear and powerful antagonist, but nothing more than that. We have seen this kind of villain a thousand times before: in storybooks and children’s cartoons. It is immediately recognisable and quickly establishes the nature of the antagonist. But it leaves no room for depth or nuance, and it has been done too many times to be interesting. It is a cliché. In 2014’s Maleficent, the titular character hits the same basic plot points as in the 1959 version, but with a different beginning and end. In the beginning, she was a good and pleasant fairy who protected her magical realm from the neighbouring human kingdom and its warmongering king. Maleficent befriended a human boy named Stefan. They fall in love, but Stefan betrays Maleficent and steals her wings to present to the king as evidence that he had defeated her. Stefan becomes the next king and has a child: Aurora. Maleficent curses Aurora to get revenge on Stefan for his betrayal. As the years pass and Aurora approaches her sixteenth birthday and the onset of the curse, Maleficent watches over her to ensure that nothing interrupts the curse. But through staying so close to Aurora, the two meet and become close friends. Maleficent changes her mind and tries to stop the curse, but fails. Then, in trying to undo the curse, she battles with King Stefan and his armies, ultimately defeating Stefan and rescuing Aurora. Instead of a one-dimensional character pulled out of the bargain bin of clichés, Maleficent is well-rounded and far more interesting because of it. 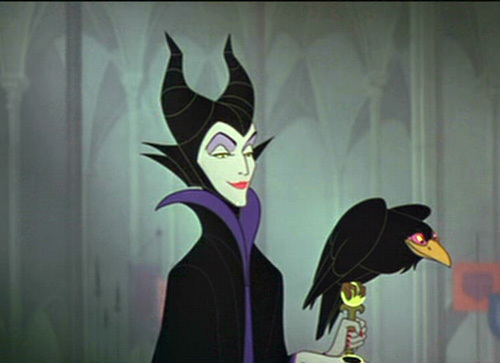 In contrast to the 1959 version, Maleficent is shown to not be intrinsically evil; rather, she was basically good but twisted towards evil through betrayal. She is shown to have good reason for cursing Aurora. While she is depicted in typically villainous darkness when she is simmering with vengeance, she is also depicted in light when protecting her realm and Aurora. Her arc takes her from hero to villain and back to hero again, and her visual representation on screen represents this metamorphosis. Instead of a one-dimensional character pulled out of the bargain bin of clichés, Maleficent is well-rounded and far more interesting because of it. Let’s move on to the second cliché that Maleficent wants to destroy: the handsome prince. 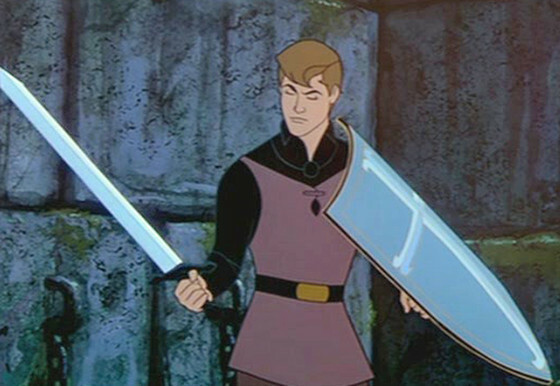 In the 1959 version, the handsome Prince Phillip falls in love with Aurora and battles to save her from Maleficent’s curse. He is captured by Maleficent, but escapes with the help of some good fairies, who bestow Phillip with the magical Sword of Truth and the Shield of Virtue. Phillip pushes his way through Maleficent’s wall of thorns, and fights Maleficent directly before slaying her and rescuing Aurora from her sleep with a kiss. There is no question that Phillip deserves to defeat Maleficent and fall in love with Aurora. Phillip is depicted as a classical male hero: he is tall, strong, tanned and lantern-jawed. He wears a red cape, symbolising power. He is awarded weapons of Truth and Virtue, symbolising his essential goodness. There is no question that Phillip deserves to defeat Maleficent and fall in love with Aurora. The symbology surrounding Phillip makes him immediately recognisable as an archetypal male hero. But there is nothing in his nature or deeds that makes him different from all the others like him. He is uninteresting, a cliché. Maleficent is not the first film or TV show to take a pot shot at the handsome prince cliché. In 2014’s Maleficent, Prince Phillip looks the part (tall, handsome, etc. ), but is otherwise portrayed as a fool – a bumbling oaf whose love-at-first-sight infatuation with Aurora is simplistic and unworthy. Phillip fails to rescue Aurora because he does not deserve to. Unfortunately, in overturning the uninteresting cliché of the handsome-prince-as-hero, Disney has fallen for another uninteresting cliché: the useless male fop. 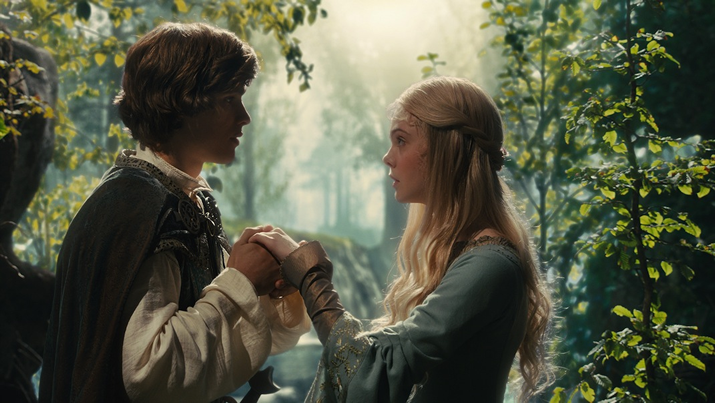 Maleficent is not the first film or TV show to take a pot shot at the handsome prince cliché. Maid Marian and Her Merry Men, the BBC children’s comedy, was doing this hilariously back in the early 1990s. Robin Hood was converted from the fearless leader of legend into a preening, simpering idiot. This revolt against the handsome-prince-as-hero has been done so many times that it has become its own boring cliché. Finally, let’s look at the third cliché that Maleficent wants to destroy: the idea of true love. In the 1959 version, Aurora is saved by True Love’s Kiss, delivered by Prince Phillip in his handsome-prince-as-hero role. The True Love on offer here is portrayed as perfect and eternal, and a love between two deserving partners (both physically beautiful and moral). And yet it is borne of a fleeting encounter and mistaken identity. It is a love presumably founded upon mere momentary knowledge and diluted further by ignorance. How many action and adventure films end with a kiss between our hero and his damsel, who met only moments earlier? Although 1959’s Sleeping Beauty shows an insipid version of True Love that isn’t worthy of the name, it has nevertheless been copied (without irony) by many stories since. How many times have we seen the damsel-in-distress (another trope) rescued by a handsome male hero, swept off her feet, and immediately fall “in love”? How many action and adventure films end with a kiss between our hero and his damsel, who met only moments earlier? In 2014’s Maleficent, such love is inadequate. Phillip’s kiss does not rouse Aurora from her cursed slumber. Only a kiss from Maleficent herself is sufficient to wake the princess. Maleficent, who has spent much of the film watching over Aurora, protecting her, introducing her to magic and wonderment, and fighting to stop the curse, is possessed of the “True Love” capable of breaking the curse with a kiss. Barely six months before Maleficent’s release, Anna and Elsa were demonstrating “True Love” through self-sacrifice in Disney’s own Frozen. 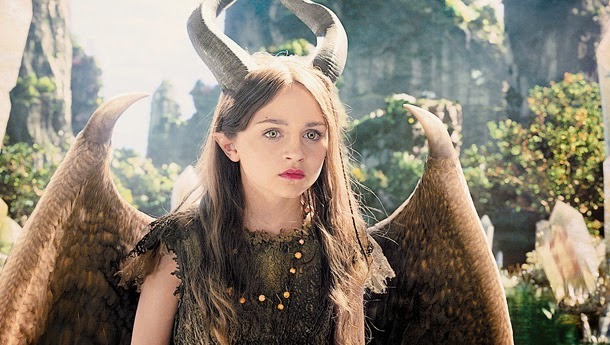 Maleficent ably overturns the old cliché, and yet it doesn’t quite work. It was an entirely too predictable conclusion to the story, which suggests that it is becoming its own cliché. After all, barely six months before Maleficent’s release, Anna and Elsa were demonstrating “True Love” through self-sacrifice in Disney’s own Frozen. Maleficent’s one real success is in the character of Maleficent herself. She represents one of the first mass-market attempts to explore the nature of a traditional villain, and to represent the villain as more than a villain. Maleficent’s other attempts at overturning cliché are less successful. Stefan is a carbon copy of classic Disney villains like The Lion King’s Scar. Perhaps most disappointing of all is the character of Stefan, who is a cliché through-and-through. 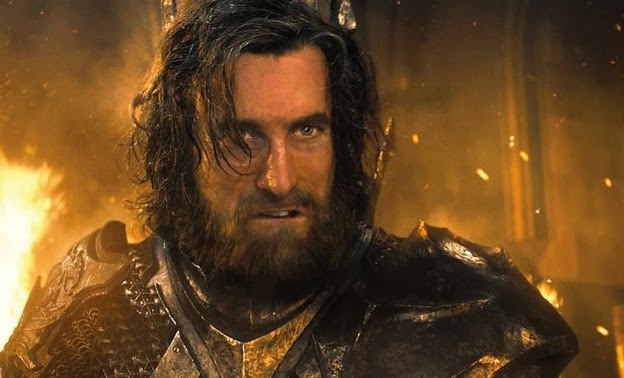 He is the betrayer, the schemer, the wrongful king, and so irredeemably evil that he will not accept the hero’s offer of mercy in his final moments. He is, quite simply, a carbon copy of classic Disney villains like The Lion King‘s Scar, but without the charisma. Films like Maleficent must be careful. If your mission is clearly to destroy old clichés, you’d better be sure that you’re not building your effort on a dozen other clichés, all equally worn out.